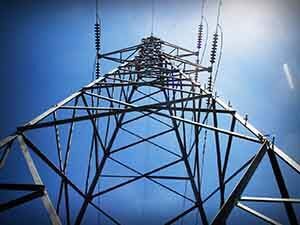 The Occupational Safety and Health Administration (OSHA), per OSHA Electrical Standards, cited three New York contractors for permitting employees to work dangerously close to high-voltage power lines on June 10, 2013. Vordonia Contracting and Supplies/Alma Realty Corp, Masonry Services of Brooklyn, and North Eastern Precast were building a new housing complex in a Nassau County, New York neighborhood when the violations occurred. The inspection occurred on December 1, 2012. Fines totaled approximately $465,000. The safety violation stemmed from employees performing concrete work and operating cranes near 13,200 volt overhead power lines. According to OSHA, who enforces the OSHA Electrical Standards, workers ignored numerous requests to refrain from working near the power lines. The Long Island Power Authority warned workers consistently. Even with the warnings, workers continued working under dangerous circumstances. On one occasion, workers were completing a project with live power lines four inches above their heads. The three contractors were issued citations related to failing to mark power lines, neglecting to educate workers on electrocution hazards, not checking to see whether the lines were energized, and risky crane operating procedures. Employees should consider the basic OSHA Electrical Standards when working near power lines or electricity. Workers should always consider wires unsafe assuming overhead wires are energized at lethal voltages. Workers should also assume all wires are dangerous to touch. Do not touch overhead power lines. Contact the electric utility company to inform about fallen electrical lines. Remain 3 meters away from overhead wires during cleanup and other related work tasks. Only qualified personnel should repair electrical cords or other equipment. If equipment is wet, seek the services of a qualified electrician to inspect electrical equipment before energizing. When working in damp environments, inspect electric cords and equipment to make certain they are in acceptable condition and free of flaws and defects. Use a ground-fault circuit interrupter (GFCI). Be extremely careful when working near electricity. Managers and supervisors can dig deep into details managing safety risks at their workplace by taking our OSHA-Approved 30 Hour Construction Training Course Online or OSHA 30 Hour General Industry Training Course Online. Each can be completed in about a week from home or office at times that meet your scheuldule. Honey Bees at your construction site might be more challenging that you think! While OSHA might not specifically address bees as a hazard in the workplace, they can be an environmental challenge at some construction sites. OSHA 30 hour courses won’t go over the unusual or bizarre, but the the issue does bear relating for experience-sake. Several years ago, ten construction workers were stung by honey bees in Glendale, Arizona. Workers were laying a pipeline along a freeway when the incident occurred. Five of the injured received serious bee stings and were transported to the hospital. Workers disturbed a hive while attempting to complete construction work alongside the freeway. 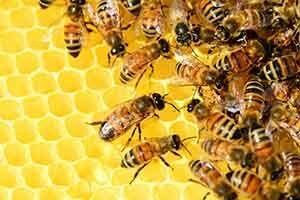 Last October, two Corpus Christi, Texas construction workers were attacked by a swarm of bees while remodeling a home. Workers were stung when they disturbed a nest of bees inside an electrical box. Each worker received ten to fifteen bee stings. Spring and summer are active seasons for many bees. Experts suggest bees are not aggressive. Honey bees do not attack unless hives are disturbed. Honey bees only sting once. Stings can be extremely painful and severe when an individual is allergic to insect stings. When coming in contact with these bees, construction workers should consider the following tips. Shield your body and facial area when evading honey bees. Get in touch with a local bee removal company to safely remove the hive at no cost to you. Seek safe shelter immediately during bee attack. Inspect the construction site before starting to work. Stick clear of any areas containing bee hives. Seek medical attention immediately after being stung. Bees are extremely important to the world, pollinating nearly 80% of all flowering crops, that is 1/3 of all crops humans consume. Summer Heat is quickly approaching! Working in scorching temperatures will definitely be a challenge for workers. Employees must be prepared to combat the dangerous temperatures looming ahead and follow safety precautions while working outdoors in order to combat Summer Heat Illnesses. Employers are responsible for educating workers on symptoms related to heat illness and providing resources to protect their employees. 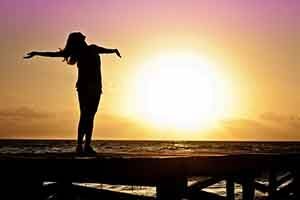 The Occupational Safety and Health Administration (OSHA) initiated a Heat Illness Prevention Campaign in 2011 devoted to raising awareness about the dangers of summer heat. Each year thousands of workers either die or become sick from summer heat related illnesses. OSHA emphasizes heat related deaths and illnesses are preventable. The agency suggests considering the following tips when having to work in hot weather. Medical professionals typically divide heat illnesses into three specific categories: Heat Cramps, Heat Exhaustion and Heatstroke. Heat Cramps are characterized by cramps in the calves, back or abdomen. The victim is usually experiences heavy sweating, weakness and sometimes, dizziness. The problem is typically caused by loss of salt. The best immediate treatment if this happens, is to move the individual to a cool area and start having them drink sports drinks with electrolytes. If the core body temperature is greater than 100 degrees, then consider cool water sponges to help the temp go down. At that point you can begin to massage the sort muscles. Heat Exhaustion is characterized by heavy sweating, nausea, disorientation, strong thirst, dilated pupils, headache, rapid and weak pulse, moist red or pale skin that is cool. When the body gets too hot, it tries to compensate by increasing sweat, but at some point other bodily systems get in the way. It is critical to know these symptoms and immediately get the person to a cool area. Begin similar treatment as in cramps including electrolyte drinks. If the person begins to vomit and it seems to be persistent, get them to a local ER room as as soon as possible, especially if they don’t feel better. Heatstroke is a very dangerous condition that can cause irreversible organ damage and death if not treated promptly. The main danger here is that the body’s natural cooling system shuts down, and it’s primary danger area is the brain. Look for no sweating but the skin temperature is hot with core temperatures over 102, a rapid, strong pulse, rapid, shallow breathing, confusion, convulsions and seizures. Call 911 and have the person transported immediately to an ER. Until the ambulance comes, try to keep the person as cool as possible, using cool water if necessary. Relax in the shade to cool down. Know what to do in an urgent situation. Make certain your clothing is loose and as comfortable as possible. When appropriate, take extra precautions with certain medications. Stay away from caffeine and drinks with large amounts of sugar. Tips, educational resources, and other materials related to heat illness can be accessed from the Occupational Safety and Health Administration’s (OSHA) website at, http://www.osha.gov/SLTC/heatillness/index.html#prevent. Managers and Supervisors can benefit from learning about a wide variety of safety hazards in the workplace by completing our OSHA-Approved 30 Hour Training Courses online at their convenience. The Occupational Safety and Health Administration (OSHA) has cited Becksted Masonry with 8 violations, including 5 serious safety violations and 3 repeat violations, including fall protection. The fines total approximately $50,000. The citation stemmed from an October 2012 inspection at a Voorhees New, Jersey work site. Based in Somerdale, New Jersey, Becksted Masonry is a masonry contractor. The family-owned business has been in operation since 1991. According to the company’s website, they mainly focus on projects in the New York, New Jersey and Connecticut areas. 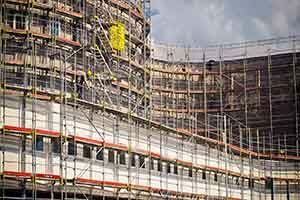 The three repeat violations involved a lack of fall protection, the use of scaffold cross braces to access the scaffold’s walking and working surfaces and missing toe boards. Becksted Masonry received these same violations in 2008 and 2010 at work sites in Gibbsboro, Manalapan and Voorhees. Five serious safety violations included neglecting to provide training on scaffolds and portable extension ladder setups. A serious citation is issued when there is substantial probability that death or serious physical harm could result and the employer knew, or should have known, of the hazard. OSHA provides training materials on ladder safety and fall protection for workers and employers. This information can be accessed at http://www.osha.gov/OshDoc/data_Hurricane_Facts/fall.pdf. The Occupational Safety and Health Administration’s websites offers information on various safety topics and can be retrieved at www.osha.gov. Both the OSHA 10 Hour and OSHA 30 Hour Online Training Courses contain course material on all of these topics also. Commenting on the violations, Paula Dixon-Roderick, director of OSHA’s Marlton Area Office, stated the company’s failure to correct these hazards leaves workers vulnerable to accidents common to scaffolding, which can cause serious injury and possible death. She further emphasized the hazards can be controlled by compliance with OSHA ‘s standards with regard to ladders, scaffolds and fall protection. Lightning Strikes Are More Prevalent Than You Might Think! Lightning results from the build-up and discharge of electrical energy between positively and negatively charged ions. Rising and descending air within the thunderstorm separates these charged ions. 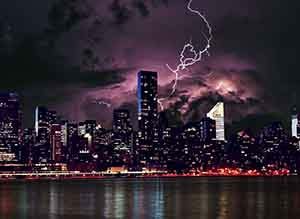 The air near the lightning strike is heated to a temperature hotter than the sun, and the rapid heating and cooling of the air near the lightning channel causes a shock wave those results in thunder. After seeing lightning, count the number of seconds between the flash of lightening and the next clap of thunder. Divide this number by five to determine the distance to the lightning in miles. Also, stay inside for 30 minutes after hearing the last clap of thunder. MYTH: If you crouch low to the ground during a Thunderstorm, this lowers your risk of being hit. TRUTH: Crouching does nothing to reduce the risk of being hit.. The best thing is to find a substantial building or hard-topped vehicle. If none is available, there’s no safe alternative while you are outside and exposed. MYTH: If caught outside with a sudden Thunderstorm approaching, lying flat on the ground provides the best change against getting struck. TRUTH: Actually it’s maybe the worst thing you can do. By lying on the ground you become very susceptible to ground current if there is a cloud to ground strike nearby. Stay upright, providing a smaller target and move as quickly as possible to a substantial building or vehicle. MYTH: Lightning never strikes twice in the same place. TRUTH: It strikes the same place multiple times during a storm, especially if the place is high and there are tall pointed objects. The Empire State Building in New York is hit over 100 times a year! MYTH: If it is not raining, there is no danger from a strike. TRUTH: Lightning often strikes outside of heavy rain, and can strike as far away as 10 miles. This is especially true in the western U.S. MYTH: Rubber soles of shoes or car tires will protect you from being struck by lightning. TRUTH: Car tires and rubber sold shoes offer no protection whatsoever. However, the steel frame of a hard topped vehicle will provide increased protection if you do not touch any metal. You can be injured if there is a strike to the car, but you are safer inside the vehicle. MYTH: People struck by lightning can carry a residual charge and you cannot touch them. TRUTH: Victims of such a strike carry no charge. Contact your local American Red Cross chapter for information on first aid and CPR classes. MYTH: “Heat“ lightning happens after very hot summer days, and is not a threat. TRUTH: “Heat” lightning is a term used to describe a strike that emanates from a thunderstorm that is too far away for thunder to be heard. MYTH: Contrary to popular belief, it’s just fine to shower in your home while there is a thunderstorm going on. TRUTH: The old wives tale is actually true and has been proven. Because water pipes are sometimes metal, they become able to conduct electricity throughout their lengths, which could include a directly connection to pipes in your shower or the drain. It’s best to wait until the storm passes before jumping in the shower! The same applies to being on landline phones OR wireless phones. The odds of becoming a lightning victim in the U.S. in any one year is 1 in 700,000. The odds of being struck in your lifetime is 1 in 3,000. About 400 people survive these strikes in the U.S. each year. Lightning occurs within all thunderstorms, and causes an average of eighty fatalities per year. Most of these fatalities and injuries can occur when people are outside in the summer months, during the afternoon and evening hours. The Occupational Safety and Health Administration (OSHA) cited Coatings Unlimited with 14 safety violations following an August 2012 incident. KCI Construction was also cited with one serious violation as a result of the same incident. A 53 year old worker died at the Boschertown sanitary sewer lift station construction site when he was overcome by methyl ethyl ketone. Proposed penalties total $229,000. Located in Bridgeton, MO, Coatings Unlimited opened for business in 1954 according to the company’s website. The company specializes in painting and coating services and employs approximately 200 people. KCI Construction was established in 1922. KCI specializes in general building and concrete work. The company is located in St. Louis, MO. OSHA cited Coating’s Unlimited with three willful violations, 10 serious violations, and one other-than-serious violation. The company was placed in OSHA’s Severe Violator Enforcement Plan due to the serious nature of these violations. Five violations involved violating the respiratory protection standards set by OSHA. In addition, the company was cited for not providing chemical-resistant gloves, not training on hazardous chemicals used, a lack of fire extinguishers on the scene during flammable liquid use, and inadequate portable extension ladders. All violations centered around improper control and prevention procedures involving methyl ethyl ketone. 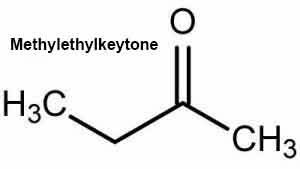 Methyl Ethyl Ketone, also known as Butanone, is an organic compound that has a sweet aroma, similar to butterscotch. It is produced in bulk for use in industry as a solvent. It is used in processes involving gums, resins, cellulose acetate and nitrocellulose coatings and in vinyl films. It has similar solvent properties to acetone but boils at a higher temperature and has a significantly slower evaporation rate. Methyl Ethyl Ketone is an irritant, causing irritation to the eyes and nose of humans and in high quantities can cause respiratory distress. KCI Construction was cited with one serious violation for failing to conduct frequent and regular inspections of the job site material and equipment by a competent person and neglecting to train workers to recognize unsafe confined space conditions. Charles Adkins, OSHA’ regional administrator in Kansas City, MO stressed employers have an obligation to protect the safety of workers. He further commented on the unfortunate loss of a life at the construction site and emphasized employers have a responsibility to eliminate hazards from the workplace and provide protective equipment to reduce exposure. Company managers and supervisors need to be continually educated on various agents and substances that are toxic in the workplace. Our OSHA-Approved 30 Hour General Industry Training can provide valuable information and can be taken online for convenient consumption. This month, our deadly dozen blog article will discuss how to prevent fire and explosions at your construction site. Fire and explosion hazards are listed third on the deadly dozen’s unsafe conditions list. 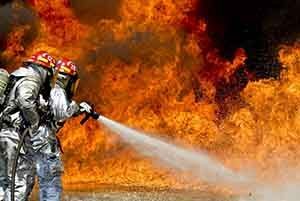 According to the most recent statistics released by the Occupational Safety and Health Administration (OSHA), fire and explosions account for approximately 3% of workplace fatalities. • Flammable and combustible cleaning solvents such as Methyl Ethyl Ketone (MEK), mineral spirits, and diesel fuel or oil. • Liquids with high flash points (greater than 100 degrees Fahrenheit) may present a fire or explosion hazard when applied as a fire mist. • Liquids with low flash point (less than 100 degrees Fahrenheit) pose hazards when used. • Airborne particles or dust. • Hydrogen gas generated during cleaning processes such as acid washes. • Reactive cargos such as iron-ore, fertilizers, or incompatible chemicals. Last month, a forty-nine year old Houston man was killed as a result of a welding accident. According to reports, the construction worker’s cutting torch came in contact with a set of barrels setting off an explosion that shook parts of the building. Workers at SRC Construction claim the barrels were marked as containing a cleanser. Investigators are still working on this case. OSHA stresses employers must empower workers to become BETTER INFORMED, BETTER PREPARED, BETTER MOTIVATED to handle safety. The agency provides basic fire and explosion safety tips to workers in an effort to accomplish its mission of ensuring a safe and healthy workplace. Other information and fire prevention tips can be accessed from the following link, http://www.nfpa.org/. Through our OSHA-Approved 30 Hour Training Courses, management, supervisors and employees can get detailed training on these hazards as well as other Focus Four hazards. • Establish effective procedures and use proper equipment to perform the operation safely. • Obtain a Hot-Work permit, if necessary. • Cover or block all doorways, cracks, windows with fire resistant material. • Keep fire extinguishers near. • Provide adequate ventilation in work area to prevent accumulation of flammable gases, vapors, or dust. • Properly store all flammable materials in secure areas. he Occupational Safety and Health Administration (OSHA) has cited Ellison-Mills Contracting with three serious violations involving excavation safety. The violations are the result of an August 2012 investigation that involved the death of a worker. Proposed penalties total $8, 400. Established in 2001, Ellison-Mills Contracting is located in Casa Grande, Arizona. The excavating contractor specializes in grading, paving, underground, and concrete work. According to the company website, Ellison-Mills handles all types of construction work from low budget projects under $10,000 to million dollar construction jobs. • Failing to visually inspect the quick coupler device prior to or after attachment and prior to use. • Failure to instruct the operator to recognize and avoid operation of the excavator’s bucket shovel in close proximity to other workers. • Failure to ensure the work area was free from recognized hazards including struck-by hazards during trenching. The Occupational Safety and Health Administration (OSHA) has a safety and health information bulletin available on the agency’s website related to the safe operation of quick coupling devices for hydraulic excavator buckets. This information can be accessed at http://www.osha.gov/dts/shib/shib072205a.html. Zachary Barnett, director of OSHA’s Phoenix area office emphasized employers must make safety a priority at their work sites. This is in line with OSHA’s emphasis on excavation safety. He also mentioned the increase in tragic cases involving employees dying because couplers are not properly connected prior to starting excavator work. Barnett stressed employers must be proactive at assessing hazards and dealing with them appropriately. Asbestos exposure was the center of a recent violation in New York. The Occupational Safety and Health Administration (OSHA) cited Lorice Enterprises with nine health and safety violations. These involved asbestos exposure. Proposed fines total $83,300. The violations stem from an August 2012 inspection involving asbestos exposure. Located in Albany, New York, Lorice Enterprises was established in 2003. 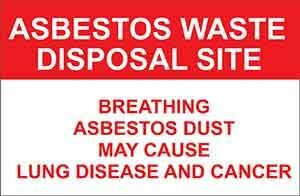 The company provides asbestos removal services. OSHA initiated the inspection at the suggestion of the New York State Asbestos Control Bureau. The willful violation involved failure to perform daily monitoring for asbestos exposure. A violation is considered willful when there is an intentional disregard of safety laws and standards. The eight serious violations cite failure to wear protective equipment properly. It also includes the failure to prevent airborne exposure. A violation is considered serious when death or serious injury could result from the hazard. Asbestos, a common fire retardant, is used often in older buildings. Exposure involves direct breathing of the substance without protective equipment. Respirators are readily used in the remediation process. However, protective equipment is always required in this operation. Kimberly Castillon, OSHA’s area director in Albany stated Lorice Enterprises ignored important safety measures while dealing with the removal of asbestos. The company failed to address worker safety and protection with regard to asbestos exposure. Lorice Enterprises has an obligation to protect employees. The Occupational Safety and Health Administration’s (OSHA) website offers various tip sheets and educational resources on asbestos removal. You obtain these resources by accessing the following link, www.osha.gov. Specific asbestos related information is included in the resources section of this article. In our OSHA 30 Hour General Industry Outreach Training Course, a thorough education is given on the hazards of various toxic substances including asbestos. Manager and supervisors are advised to take this course for a solid understanding of this and other common safety hazards that affect employees. Fall Hazard Prevention took center focus at Zamastil Exteriors of Wonder Lake, IL when OSHA cited the company with seven serious violations. These violations include one willful and one repeat violation. Zamastil was inspected in July and October 2012. Proposed fines total $87,010. Zamastil’s repeat violation occurred in July 2012. OSHA cited the company for failing to provide fall protection. In October 2012, an inspector observed violations of an aerial lift which caused Zamastil to incur another citation for failing to provide fall hazard prevention practices. This second citation was a willful violation. A willful violation is one committed with intentional, knowing, or voluntary disregard for the law’s requirements. Five serious violations involved overloading and improperly using an aerial lift, failing to provide proper lanyard tie offs to workers in the aerial lift, exposing workers to electrical shock by neglecting to provide proper ground fault protection. Failing to follow fall hazard prevention principles led to other citations such as using a ladder that did not extend 3 feet above the landing surface. The Occupational Safety and Health Administration (OSHA) has initiated an aggressive fall hazard prevention awareness campaign. Information can be accessed at the agency’s fall hazard web page at http://www.osha.gov/stopfalls. OSHA suggests the following basic safety procedures to prevent falls. • Select appropriate fall hazard prevention systems. • Use proper construction and installation of safety systems. • Train workers in the proper selection, use, and maintenance of fall protection systems. Kathy Webb, OSHA’s area director in Aurora, IL states when working from heights, such as roofs, ladders and scaffolds, employers must plan projects to ensure that the job is done safely, provide the proper equipment and train workers. According to the latest statistics released by the Occupational Safety and Health Administration (OSHA), falls are the leading cause of death among construction workers.